Wed., March 15, 2017, 1:23 p.m.
NEW YORK – A reboot of “The Matrix” is said to be the works, but many fans would rather see Warner Bros. choose a different pill. The Hollywood Reporter on Tuesday reported that Warner Bros. is developing a relaunch of the 1999 film, which spawned two far less beloved sequels. Any new “Matrix” film is in such an early stage that it may – like countless other projects in development – never amount to anything. Warner Bros. declined to share any details on its plans on Wednesday. But the report was enough to stoke a backlash on social media over any tampering with the Wachowskis’ trench-coated, slow-motion bullet-flying science-fiction creation. Reboots, you may have noticed, are a tad common for Hollywood these days. And while repaving old favorites often causes consternation among fans, the possibility of a new “Matrix” touched a nerve. On one hand, the dystopian vision of “The Matrix,” about a rebellion against machine-controlled rule, would seem ideal for today. After all, many have recently suggested the world has tipped into a simulated reality of its own. The time may be ripe for the deep “rabbit-hole” diving Laurence Fishburne’s Morpheus advocated. Also, initially wounded fan feelings have been known to soften under the right conditions. Get the right talent involved, secure the necessary blessings, talk about “mining” the story’s boundless “universe” and you could – come opening weekend – have a “Matrix” version of the “The Force Awakens” on your hands. Still, remakes and sequels remain, overwhelmingly, the biggest box-office hits. Disney’s “Beauty and the Beast,” another refashioned ’90s fairy tale (albeit one with fewer sunglasses), is expected to open with more than $130 million in ticket sales this weekend and may ultimately gross $1 billion worldwide. No Wachowskis. Though they could, of course, get involved in some capacity in the future, they aren’t currently attached as directors for the new project. 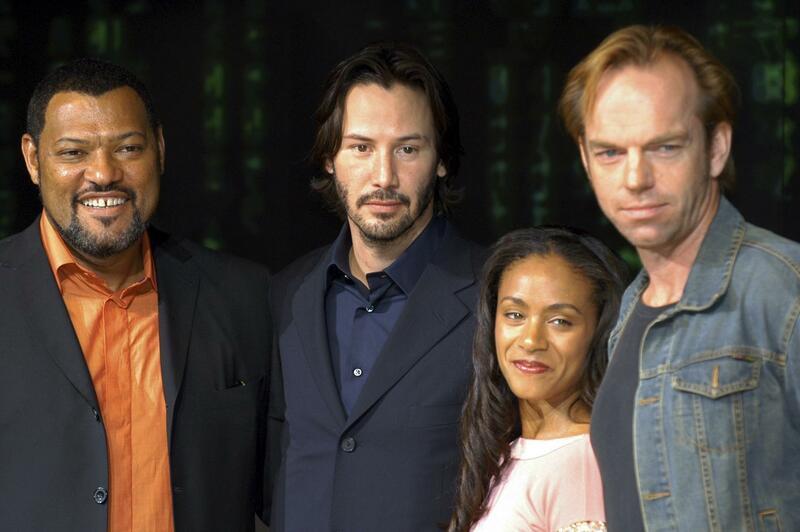 For many, a “Matrix” without Lana and Lilly Wachowski – the writers and directors of all three films – is anathema. Though their subsequent movies – the “Matrix” sequels, “Cloud Atlas” and “Jupiter Ascending” – have been largely received as misfires, they’ve never lacked for ambition, daring or imagination. That goes double for their Netflix series “Sense8.” Keanu Reeves has said their involvement is necessary for his participation in any new “Matrix” movie. Yet despite Reeves’ action-hero bona fides in still sterling condition (see “John Wick” and its sequel) and the Wachowskis continually churning out sci-fi, Warner Bros. is said to be exploring a different filmmaker and star. “Avengers” scribe Zak Penn may write the script. Too Soon. Though quick reboots have happened before (“Spider-Man” may have set the record at a mere five years) “The Matrix” doesn’t yet feel especially dated at 18 years old. But as Hollywood begins veering into the ’90s for remake-ready intellectual property, Generation X is beginning to experience what has long been a constant for baby boomers. (1999’s “The Blair Witch Project” was also reborn last year.) As Hollywood edges closer to today to plunder evermore recent remakes, it might need Neo to find some kind of time warp, too. Published: March 15, 2017, 1:23 p.m.